There are lots of animals on the farm. Where are they hiding and what are they doing? 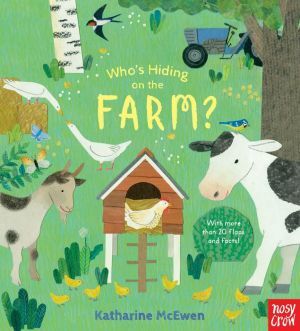 In this innovative lift-the-flap book, little ones can pore over the beautiful collaged pages and explore behind bushes, hay bales, and barn doors to discover lots of interesting facts about farmyard animals. With spreads that take readers through all four seasons, this is the perfect introduction to the outdoors.